The acetylsalicylic acid called abbreviated ASA, is a salicylate drug group on the market since 1899 under the trade name Aspirin, released by the German company Bayer. 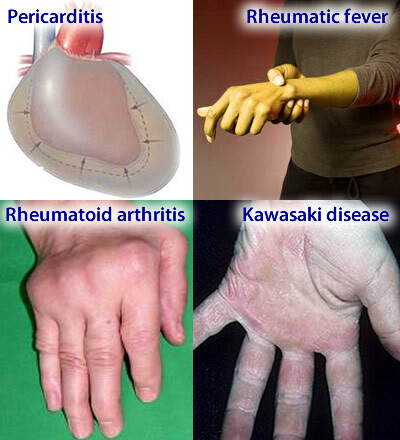 The ASA also belongs to the group of anti-inflammatory drugs (NSAIDs), the same as the famous diclofenac (Voltaren) and ketoprofen (Profenid), however, has some beneficial effects and side effects that differ from the rest of the anti-inflammatory. A particularity of Aspirin is the fact that depending on the dose used, its effects are quite different. From the 500 mg dose, ASA exerts its anti-inflammatory, antipyretic (against fever) and analgesic (against pain) effects. When used in lower doses, 100 mg or 200 mg, ASA presents just an effect of inhibiting the action of blood platelets. The ASA is nowadays more used as an antiplatelet agent than as an anti-inflammatory one. Let us explain. Platelets are the blood cells responsible for initiating the coagulation process. Coagulation is a defense mechanism of the body to a halt bleeding. When a vessel suffers an injury, a handful of platelets are directed to the site, adding up to form a sort of safety net, by stopping the bleeding until the arrival of the clotting factors that will make the final repair of the lesion. The perfect function of platelets is therefore essential for good coagulation. Aspirin has as one of its effects inhibiting aggregation of platelets, making the process of initial coagulation more difficult to occur. This is the effect popularly known as "blood thinner". But why doctors need to thin the blood, i.e., inhibit platelet aggregation in some patients? Thrombosis is basically an abnormal clotting that occurs within the blood vessel, preventing the flow of blood. A thrombosis in a coronary artery is the cause of myocardial infarction, as well as a thrombosis within a vessel causes cerebral stroke. The continuous use of ASA hinders the formation of clots, which in turn also impedes the formation of thrombi. Therefore, the use of Aspirin is indicated to all patients with high risk of developing thrombus. The ASA is used as antiplatelet doses ranging between 75 and 325 mg. Higher doses (above 200 mg) are typically used in those who have had a cardiovascular event. In patients at high risk but who never had a previous thrombotic event, a child dose of 100 mg is prescribed. 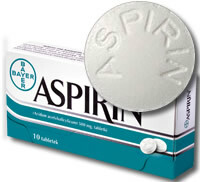 Aspirin is an important weapon to prevent thrombosis of the stents placed in angioplasty of the coronary arteries. Usually it is prescribed along with other platelet as clopidogrel or ticlopidine to enhance platelet inhibition. The ASA also has proven effective in other diseases and in the treatment of menstrual cramps, prevention of preeclampsia and prevention of intestinal polyps and colon cancer. If aspirin reduces the incidence of thrombosis, why not use it worldwide? Because of its side effects. Like any anti-inflammatory, ASA has a higher side effect incidence of gastritis, gastric and duodenal ulcers, and consequently, gastrointestinal bleeding. The higher is the dose of aspirin, the greater is the risk of gastric injury, but even low doses like 80 mg are at risk. Aspirin binds irreversibly to platelets. This means that those who have platelet action of aspirin, never fail to participate in clotting. Therefore, the antiplatelet effect of aspirin lasts for the lifetime of platelets from 5 to 10 days, i.e., ASA takes effect for at least 5-7 days. This information is important for surgery, tooth extraction or other potentially hemorrhagic event, when a perfect clotting is necessary for the safety of the procedure. Inhibition of platelet function is also responsible for the ASA in dengue contraindication or any other disease that courses with low platelets as idiopathic thrombocytopenic purpura. Imagine the damage that can happen when a patient already having few platelets and appears at risk of bleeding, taking a drug that disrupts the function of these cells. Aspirin should not be taken into diseases like chicken pox (varicella) and flu, particularly by children and adolescents, due to the risk of developing Reye's Syndrome, a serious disease that leads to cerebral edema and fulminant hepatic failure. Aspirin, like any other anti-inflammatory drug should be avoided by patients with chronic renal failure. The higher is the dose, the greater is the risk of worsening renal function. Their use should only be allowed when the benefits outweigh the risks, as for example, low-dose aspirin for patients at high cardiovascular risk. Chronic use of aspirin is also associated with an increased risk of presbycusis, known as deafness in the elderly people.